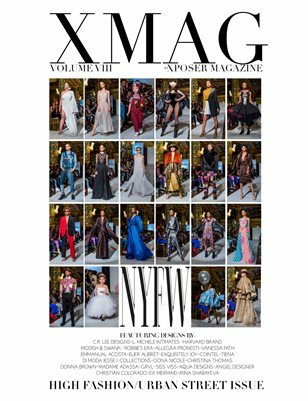 Earlier in the month of February, Xposer Magazine was invited to cover the series of Fashion Gallery New York runway shows, as part of the New York Fashion Week, Spring 2019 Season (NYFW19), hosted at its new beautiful location, Prince George Ballroom, in the heart of New York, NY. Yours Truly, had an amazing opportunity to observe and take in all of the stunning fashion creations that graced the runway each night: the glimmering colors, the flowing fabrics, the bold patterns, the meticulous details, the gorgeous models, and the imagination of each designer that poured their heart and soul into each piece. Read on to catch up on our Street Fashion photo sessions and to discover who were the participants in FGNYFW, what were our top favorite pieces, what we have learned of the current fashion trends, and finally see for yourselves through all the photos in this issue.